Our online banking service, Adam Online, is accessible across all desktop and tablet devices. Adam Mobile, our mobile banking app, will keep you connected, wherever you are. Adam Online provides you with a clear view of your wealth – from accounts and loans to money markets and investments. With the capability to make transfers and payments, manage standing orders and direct debits, Adam Online keeps you continuously in touch and in control of your wealth. 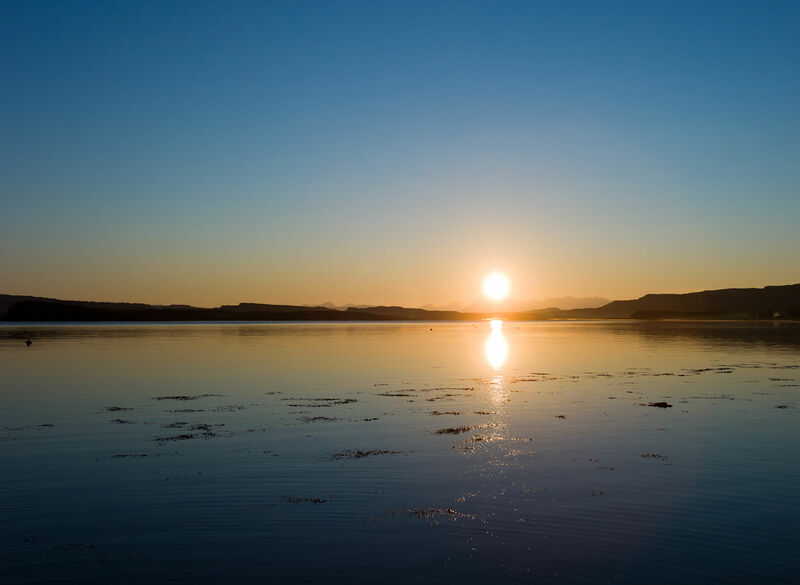 To ensure a truly seamless and personal service, our online messaging service will connect you to your key Adam contacts, allowing for messages and attachments to be sent without the need for further encryption. Cutting edge and versitile, Adam’s digital services will empower and connect you to your wealth. A UK banking first, AdamID draws on the latest technology to engage the user’s IOS OR Android smartphone as an authentication device, providing prompt access to Adam Online and allowing for the approval or rejection of online payments. Slick and seamless, AdamID has been designed to maximise your security and protection. 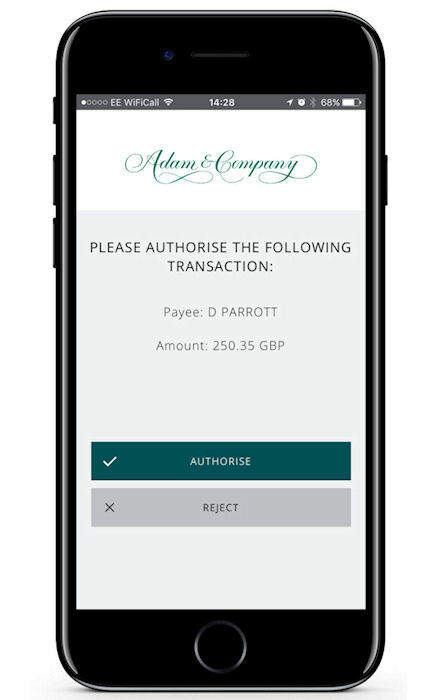 With AdamID, every time you log in or make a payment to a new payee, you will be prompted to confirm this on your smartphone with just one tap. AdamID completely eliminates the need for a card reader device – putting you in charge of your accounts, wherever you are. To use AdamID, all an Adam Online user will need is a compatible smartphone and their Adam Mobile username and password. Simply adjust the settings of the Adam Mobile App, and AdamID will be enabled. AdamID is our new secure and easy-to-use way to log into Adam Online and authorise transactions. Eliminating the need for an additional device, your mobile phone simply replaces the need to use a card reader. We all have our mobile phones readily available so it makes sense to use this as a secure means of logging on to Adam Online and to authorise payments to new beneficiaries. How do I register for AdamID? You will need to be registered for Adam Mobile and have an email address registered with us to take advantage of AdamID. Log into Adam Mobile and go to ‘Settings’ on the bottom menu bar and tap ‘AdamID enrolment’. Follow the simple steps to set yourself up and to make your mobile phone your personal security device. How do I log in with AdamID? Respond to the message sent to your mobile phone and you will be securely logged in to Adam Online. Depending on the strength of your signal it may take a few seconds for the message to arrive on your phone. If your phone does not have a mobile data or Wi-Fi connection you will need a one time password to log in to Adam Online. Follow the normal log in process by entering your username and password. We will try to send a message to your mobile phone for up to a minute. Our system will realise that you have not received the message, following which we will prompt you to enter a One Time Password. This is generated using the Adam Mobile app and tapping the ‘Create One Time Password’ button. Innovative and flexible, Adam Online is designed to connect you with your wealth, wherever you are. Access the Adam Help Centre for comprehensive help and support online, designed to help you make the most of our service. Exceptionally convenient, Adam 24 is on hand seven days a week, 365 days a year for your day-to-day banking needs – whether requesting balances, cards enquiries, or dealing with payments and transfers and basic lending requests. Our Online Banking support service and our Digital helpdesk team are available to assist with queries relating to our digital services. Our dedicated Fraud experts are also on hand to offer advice and support if and when you may need it. Adam Online is generally available to clients aged 18 years and over with an Adam account.